One year down, five more years to come. PRRD is more than just a national leader; he has become a political icon with real political will and love for the Philippines. With the series of PRRD’s foreign trips including that of the most powerful countries, he was able to take home billion-Dollar worth of investments, resulting to a proportion of PhP0.17:PhP1,000 (spent:gained). No other act of nationalism can compete to this historic event done on Philippine Independence Day (12 June). Formerly known as Benham Rise, Philippine Rise now has the Philippine flag in its seabed, symbolizing our strong territorial claims in Eastern Philippine waters. Among more than a hundred nominees from around the globe, he has undeniably got the hearts of more supporters that led him being recognized by TIME Magazine, an honor that proved he must be doing something right in just months of his leadership. He has the heart and ears to listen not just to the left, right, oligarchs and businessmen but to Filipinos from all walks of life, including those in the grassroots. He went to remote areas like Socorro, Oriental Mindoro, just to give his words of encouragement to people personally; he was very accomodating to a point that he has walked along Mendiola to personally talk to rallyists and hear their pleas. Once one of the most disregarded offices of the government, the Presidential Communications Operations Office, has gone significant changes and numerous improvements to disseminate the the truth unseen in most mainstream media. Its branch, Philippine Information Agency, is now reaching more people in the provinces than ever before to provide real public service to Filipinos from any point of the archipelago. PTV has also made major updgrades to be at par with world-class standards. As his name is roaring in the global scene, ASEAN leaders have unanimously proposed to have him as this year’s Chairman. The 30th ASEAN Summit in the country has been successful and 31st is yet to come on the last quarter. The Philippines is beginning to be recognized and respected not only by Asia but by the world. In partnership with the Indonesian government led by President Joko Widodo, Roll-on/Roll-off can now send cargos containing goods to and fro Indonesia, another first for better trade in ASEAN region. Two of the most hazardous not only for health but also for the environment, PRRD signed Executive Orders to regulate smoking and firecracker usage in the country. These industries are most leaders wouldn’t touch because they contribute highly in economic progress. Nevertheless, President Duterte knows the heirarchy of priorities, and life is on top. Drugs has been a problem of several presidents but only President Duterte took radical actions to sweep this dirt that harms Filipinos. Of the three million involved in drugs, more than 86,000 drug personalities were arrested and 1,308,078 surenderees according to PDEA in just a year. He immediately ended his visit to Russia when local terrorist group tried to spread havoc in Marawi City. 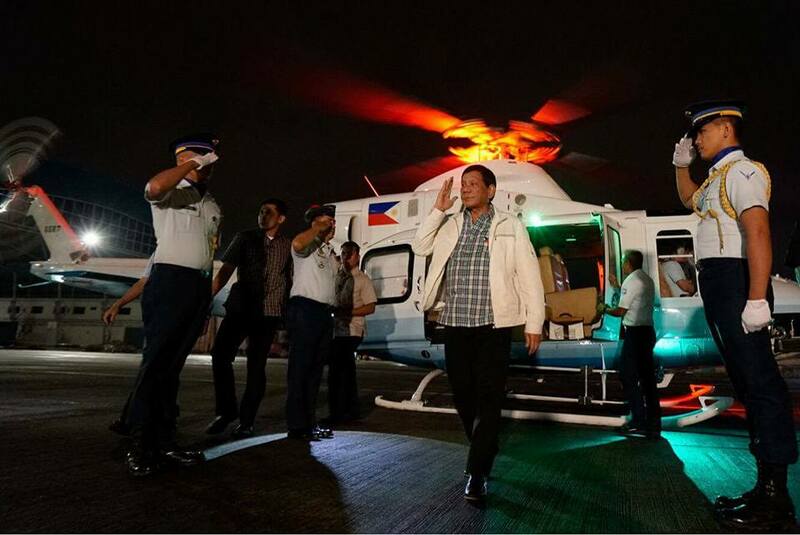 In less than 12 hours, he declared Martial Law in Mindanao to face the situation knowing that his presence would boost the morale of not only our troops but the entire Filipino nation. Ongoing Martial Law implementation in Mindanao has made majority of the Filipinos safe. One year down, five more years to come. PRRD is more than just a national leader; he has become a political icon with real political will and love for the Philippines. At some points, his dedication and passion to give the best for Filipinos brings threat to his safety but PSG leadership assured the people.